Sonoma Ecology Center addresses challenges related to water supply and quality, open space, rural character, biodiversity, energy, climate change, and quality of life. The mission of Sonoma Ecology Center is to work with our community to enhance and sustain ecological health in Sonoma Valley. Since 1990, we’ve worked to increase appreciation and stewardship of Sonoma Valley’s natural heritage and create measurable benefits in areas of land, water, climate change, and biodiversity. Sonoma Valley is home to amazing variety of species living in a small space. As many as a quarter of California’s species exist in this compact area, a place that comprises only a tenth of 1% of California’s entire land area! Since the Valley is mostly privately owned over thousands of parcels, it needs all of us to be good stewards to sustain this amazing legacy for the future. Our valley is also a watershed–a basic unit around which life on earth is organized. It’s also economically and socially diverse. In short, it offers a lot of what other places offer in a small, human scale valley. It’s a place that may be just the right size to get important things done together. And as we learn more about how to take care of our special place, we may help others do the same in theirs. Please join the 2018 California Naturalist certification training, an expansion of Sonoma Ecology Center's education programming at Sugarloaf Ridge State Park. Course dates & times: March 14 to May 16, 2019. Thursday evenings 6-8:30 p.m. with the exception of week two, which will be held on Wednesday, March 20. Evening classes meet at the Robert Ferguson Observatory at Sugarloaf Ridge State Park (2605 Adobe Canyon Rd, Kenwood CA). There will be five Saturday field trips as well held on at various locations around Sonoma Valley, including Sugarloaf and the Van Hoosear Wildflower Preserve. Course fee: $445. A few need-based scholarships available, please contact the instructor. Students must also purchase The California Naturalist Handbook (2013, UC Press). Optional 4 UC academic credits for additional fee. 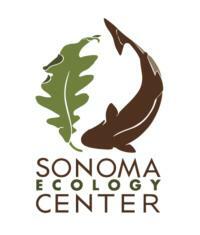 Registration: Click here for the Sonoma Ecology Center CalNat site and registration. Contact: Tony Passantino, 707-996-0712 ext. 124.